Economics of Maternal and Child Health, Healthcare Financing, Policy Evaluation, Economics of Development. Ghana Institute of Management and Public Administration. Gloria holds a PhD degree in economics from the University of Milan. She also holds Master of Philosophy degree in economics and Bachelor of Arts degree in economics with geography and resource development, both from the University of Ghana. 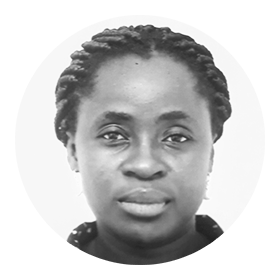 Since February 2018, Gloria has been engaged as an “Adjunct Lecturer” at the Business School of the Ghana Institute of Management and Public Administration where she teaches courses in economics at the undergraduate level. Gloria has a strong interest in empirical microeconomics, particularly issues concerning health outcomes and healthcare service utilisation. She is also passionate about issues related to economic development and policy evaluation. Working on projects contracted by institutions such as Oxford Policy Management, Goettingen International Health Network and Africa Center for Economic Transformation has also contributed to her experience in qualitative research.